We have not been able to get a lot of information about this company, it does appear to have only issued cigarette cards between 1957 and 1966 and of those it issued only three that were football related. 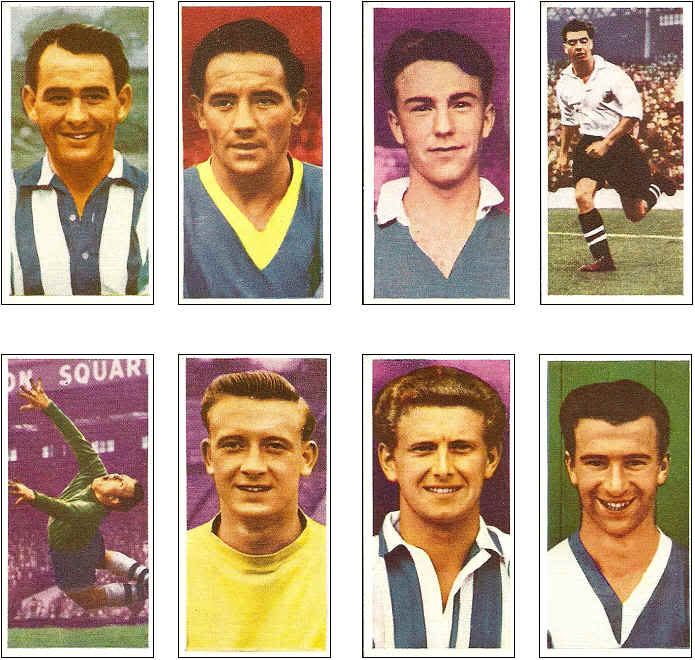 The sets were pretty much the standard football cigarette card, featuring top players from the era. The first set was released in 1957 and was imaginatively called "Footballers". 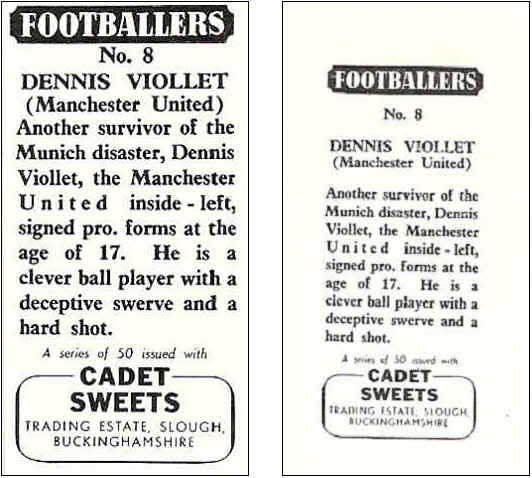 The 2nd and 3rd sets were released a year later and were again called "Footballers", below is a few examples of the cards from the 1958 set. As if having the sets called by the same name wasnt confusing enough there was a further twist in as much that the two sets in 1958 both had the same picture of the footballer on the front and the same text on the back. However there was one set with a 28mm title and one with a 19mm title, they were though different issues so that left collectors with the dilemma of whether they bothered collecting both sets becuase they were in effect just getting the same cigarette card with a different printing size!! An example of the differences are shown below. We do have complete sets of all of the sets for sale on this site and of course individual cards and sets can also be picked up on Ebay as well. As a footnote there is apparently references to a set of the 28mm text where the text is actually upside down !! We havent been able to find any evidence of this though so cant be sure it is correct.